Eliane Browne-Bartroli was born in Marseilles in 1917. After spending her childhood in France she was educated in England and Spain. After finishing college she moved to Leicester where she employed by an importing firm. On the outbreak of the Second World War Eliane went back to mainland Europe to work fir the British Embassy in Madrid and then Lisbon. In 1942 she returned to England to work for the Spanish Section of the Ministry of Information. During the summer of 1942 Eliane married Tom Plewman, an officer in the British Army. Soon afterwards she joined the Special Operations Executive (SOE). Given the code name "Gaby", Eliane was parachuted into France on 13th August 1943 where she joined the network led by Charles Skepper. Over the next few months she worked as a courier between Marseilles and Roquebrune and St Raphael. 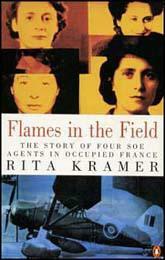 The network was betrayed and Eliane was arrested in March, 1944. After being interrogated by the Gestapo for three weeks she was transferred to Fresnes Prison. On 13th May 1944 the Germans transported Elaine and seven other SOE agents, Yolande Beekman, Madeleine Damerment, Odette Sansom, Diana Rowden, Vera Leigh, Andrée Borrel and Sonya Olschanezky to Nazi Germany. Eliane Plewman was executed at Dachau in September, 1944.